Love this piece. Where can I find one like this? Hi, your local antique furniture stores might have a similar armoire. If not, your best bet would be to do a Google search e.g. 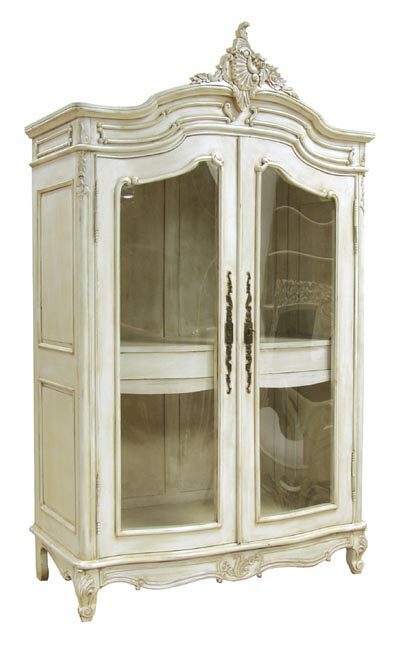 enter keywords such as French glazed armoire, etc. You may also look into custom building e.g. Etsy.com artisans or your local custom furniture stores for assistance. Good luck with your search! While I appreciate your comment, I do not own this item (wish I did since it’s gorgeous). You can find something like it at an antique shop or a woodworkers showroom who specializes in this style of furniture or have it custom-made/replicated by a local master carpenter. Hope you will find one you will love!